With many illnesses or injuries, a variety of movement and functionality deficits may occur. Physical therapists are the hands-on specialists who evaluate, treat, and help prevent these problems. 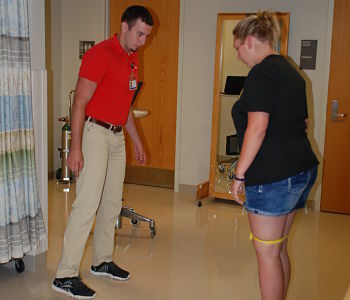 They work directly with patients on an inpatient or outpatient basis to help increase movement potential and decrease pain, while aiding recovery and achieving therapy goals. The goal of occupational therapy is to help people re-establish some or all of their independence as they recover from injury or illness. 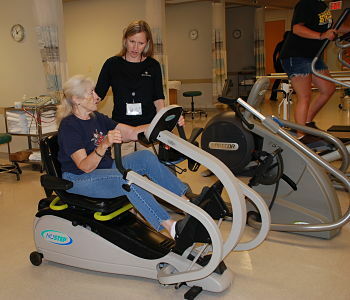 Therapy programs include individualized assessment of home and job situations, as well as treatment and training to rebuild skills and strength. For some patients, that could be simply learning to use a spoon or tie shoes again or it may include finding alternative methods to help accomplish daily tasks and activities. 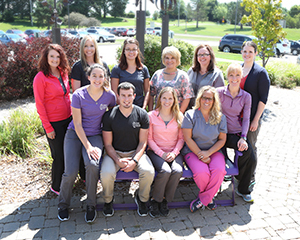 Occupational therapy programs are designed to identify specific needs and provide treatment that can bring back health, confidence and self-sufficiency in a work-related, as well as home environment. Speech-language therapy involves a variety of treatments to help improve communication and swallowing. Who can benefit from speech-language therapy? Speech-language therapy can enhance the patient's quality of life by improving many aspects of communication.